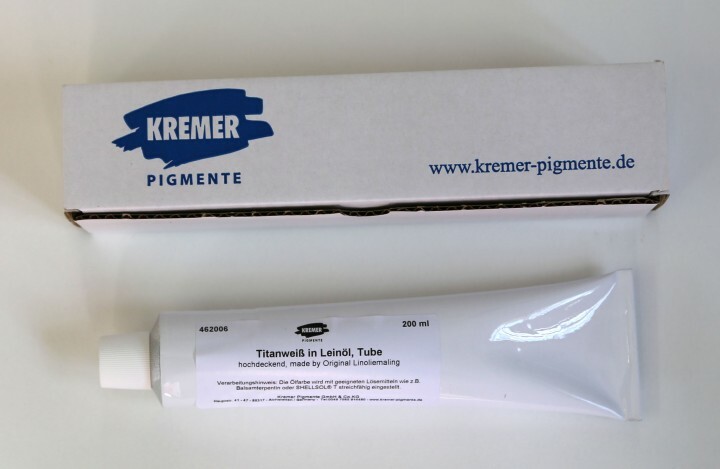 Titanium White Rutile in Linseed Oil, tube | KREMER Oil Colors | Ready-made Colors | Kremer Pigments Inc. Concentrated - to be diluted, with SHELLSOL® T or turpentine. WARNING: Do not eat, drink or smoke. Wash hands immediately after use. Wear protective clothing. 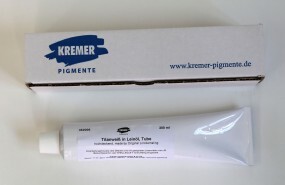 Customer evaluation for "Titanium White Rutile in Linseed Oil, tube"